You will earn 1,103 Reward Points. Earn 1 reward point for every 1 dollar spent. 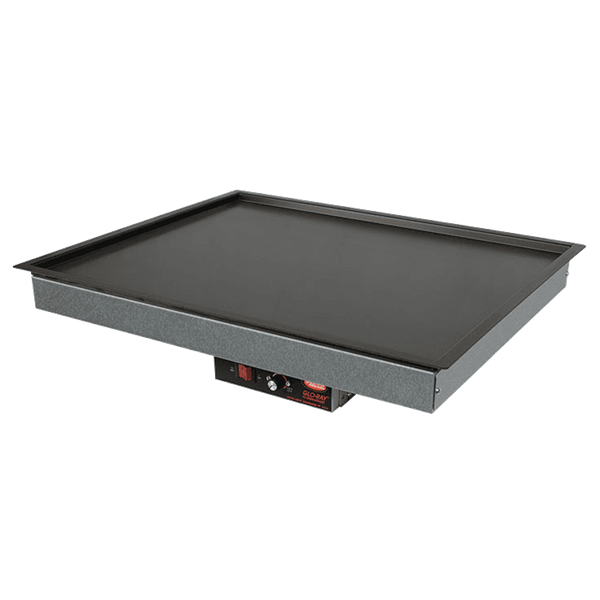 Let Hatco add heat to your serving surface with the Glo-Ray® Rectangular Built-In Heated Shelf with Recessed Top. This .5" (13 mm) recessed top foodwarmer has a hardcoated aluminum surface and blanket-type element for uniform heat to extend your food holding time. Fiberglass insulation keeps heat at the holding surface while a built-in adjustable thermostat controls surface temperature. Standard controller includes, infinite switch, lighted rocker switch and mounting brackets.